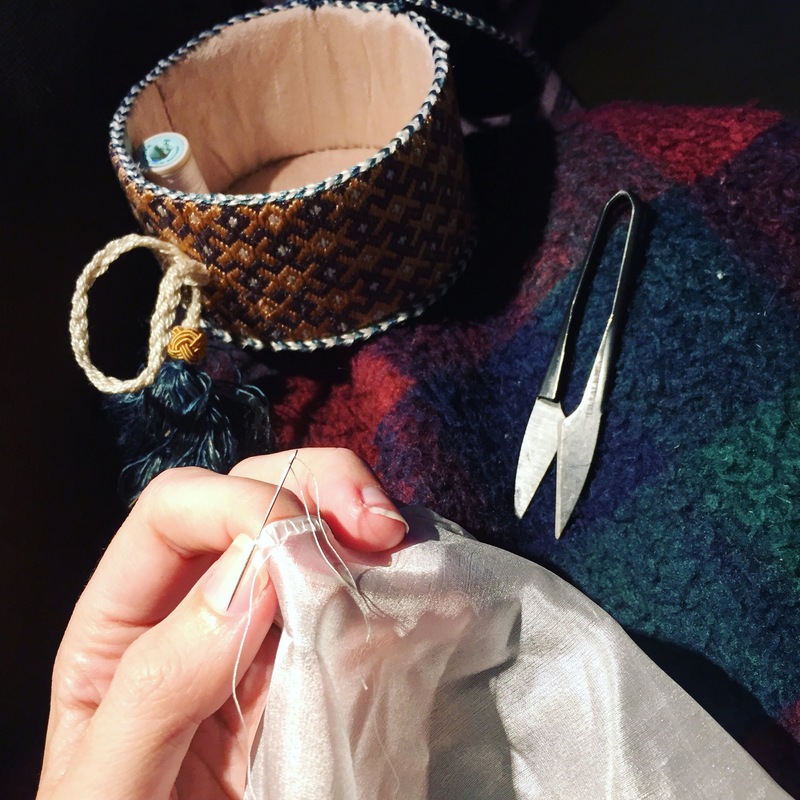 I have a post I want to make soon about the linen dress that I making for my vigil, not to be confused with the silk dress that I making for the elevation ceremony itself. 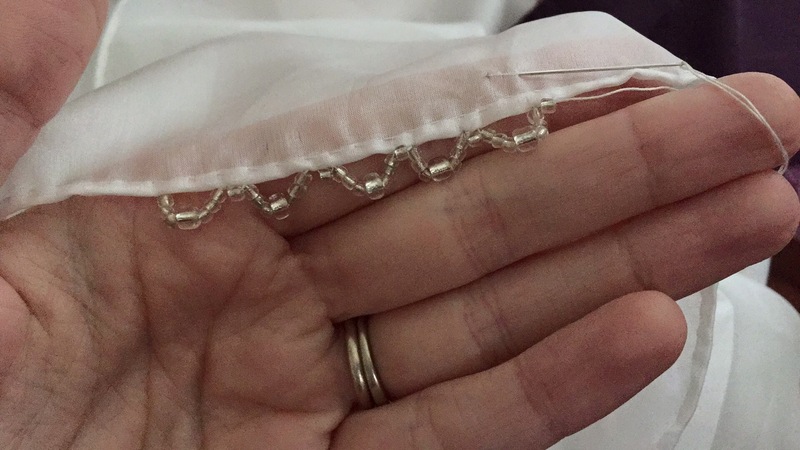 But for now, I thought I took a little bit about it silk veil that I am making to go along with the elevation dress. 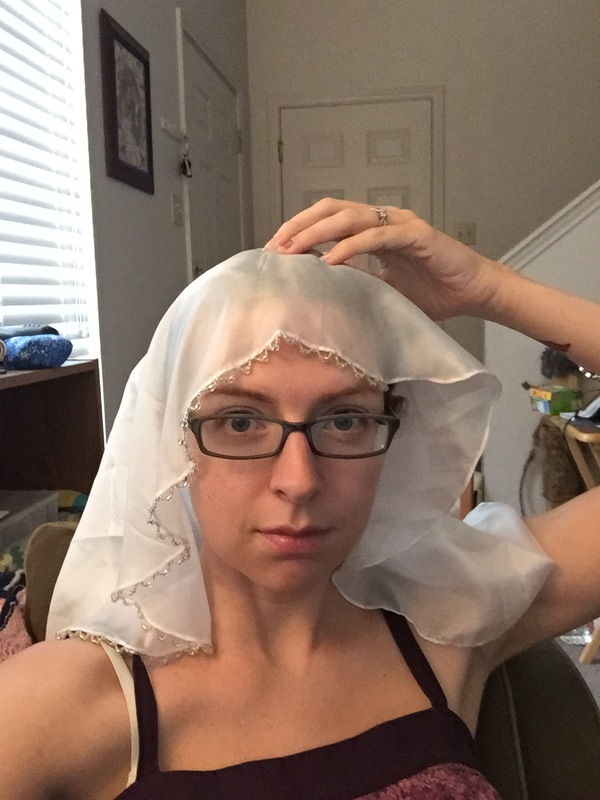 I knew I wanted an oval veil in the same basic shape as the linen one that I wear most often. I have some silk Habotai that has been in my stash for a long time. I bought it from Dharma Trading Co. a very long time ago. I don’t even remember what weight it is, other then very light. I cut it out and finished it in the same way that I finished all of my veils, with the magic veil hemstitch. Once that was all done, which took forever by the way, I realized that the material was too floaty to make a veil with a good drape, so I decided to bead the edge. I tried a couple of different patterns: Single bead, small loops and a loop-and-single bead pattern. I ended up going with a variation on the last, with the center bead of the loop being bigger than the surrounding beads. It adds a little visual interest, and helps each loop drape better, in addition to adding more weight to the edge of the veil which is what I really needed. 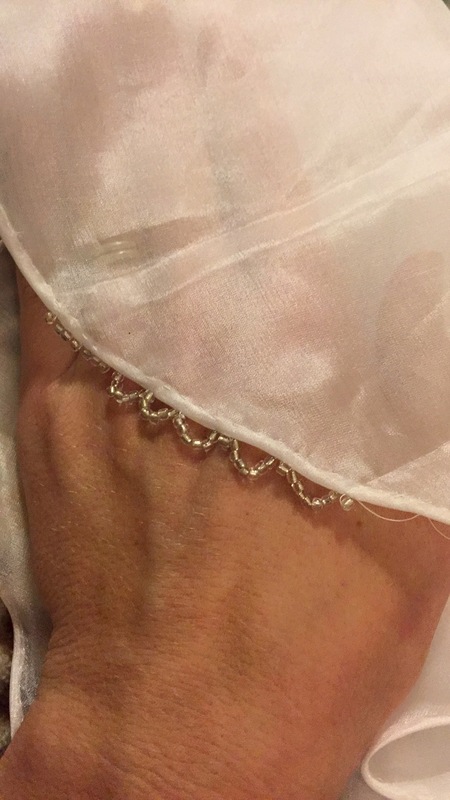 You can see here one side of the veil is beaded, and the other side isn’t. The weighted and makes a big difference to how the veil drapes. I’m really excited about wearing it.